Members of the Congolese Army patrol the village of Kibumba, Democratic Republic of the Congo (DRC), which lies in an area that was recently controlled by Congolese rebel general Laurent Nkunda. Nkunda was the leader of a rebel faction (CNDP) operating in the province of North Kivu of the DRC that was sympathetic to Congolese Tutsis and the Tutsi-dominated government of neighbouring Rwanda. Nkunda was recently captured during a joint operation between the Congolese and Rwandese militaries. 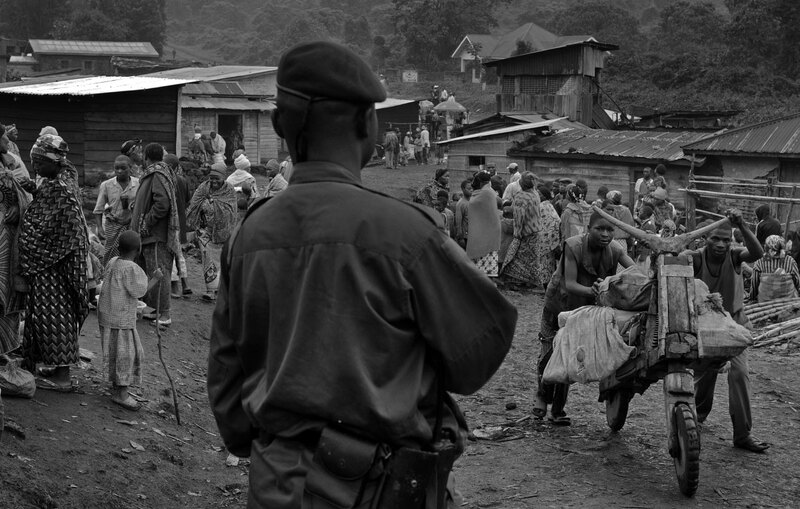 Rwanda military operatives moved through the village of Kibumba en route to disarm a Rwandan Hutu militia that has been operating inside Eastern Congo.